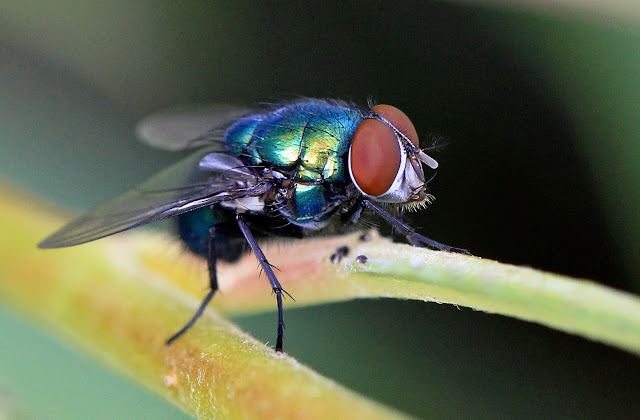 It has been a good weekend with plenty of opportunity for macro photography. The often cloudy weather was continuing from the previous weekend but this time the ever present chance of a thunder storm was thrown in too. 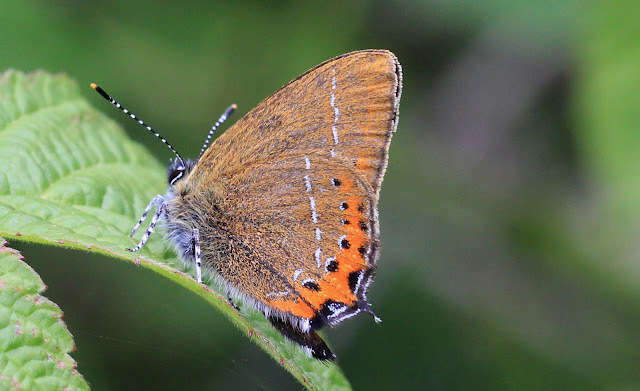 The Saturday provided the best of the weather with long spells of prolonged sunshine which worked nicely in our favor as Jon Philpot and I had decided to meet up at Salcey Forest to see how the butterfly population was getting on. 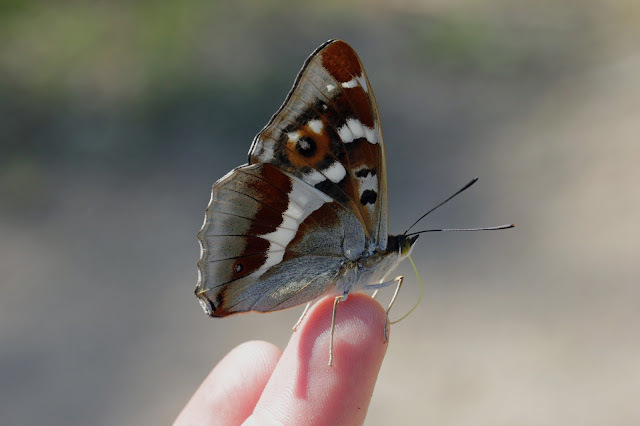 Right from the start of the walk we found good populations of butterflies everywhere with the best ones being the 3 Purple Emperor we found on the way from the car park to the Piddington Crossroads section of the wood. The walk between these two points is fantastic in the summer as a long row of flowers dominate the route along the path and it can take hours to walk it when trying to take pics. 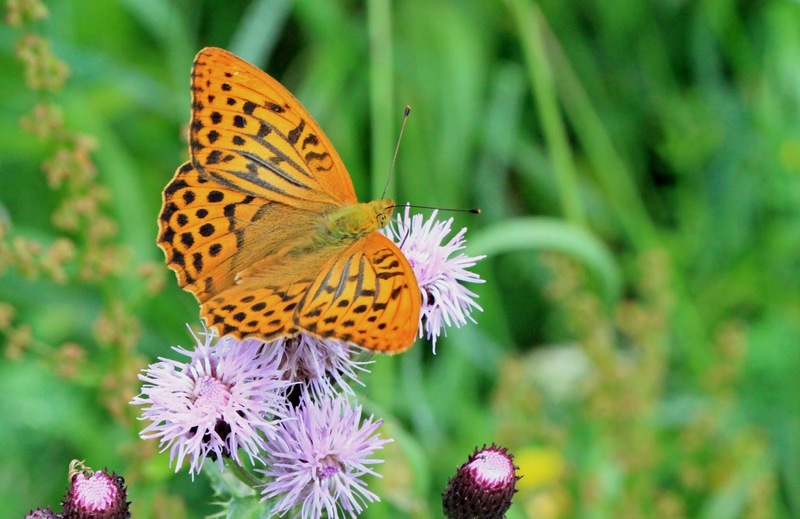 Lots of Ringlets and Meadow Browns were whirling around the flower heasds along with Large and Small Skippers, Speckled Woods, Small Tortoiseshells and a very showy Silver Washed Fritillary. 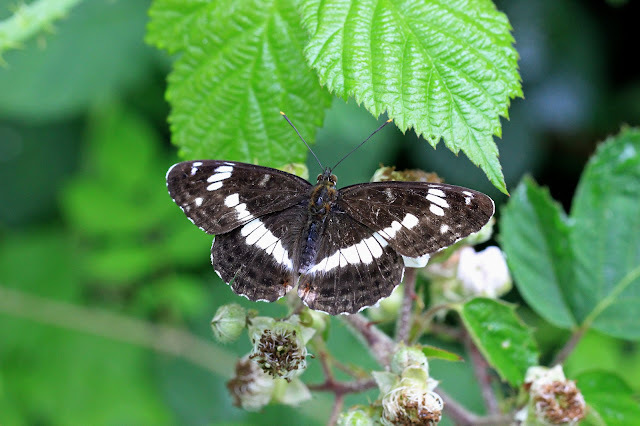 A White Admiral also shot through the woodland obviously having no intention of stopping for photo's. 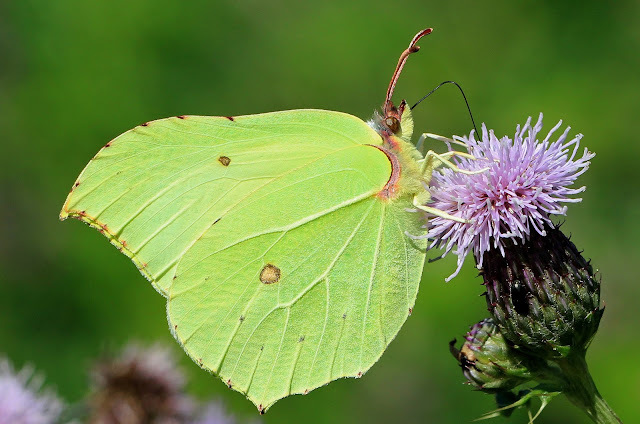 Brimstone Butterflies were also in prevalence and they looked fantastic feeding on the thistles along the route aswell as some stunning looking Peacocks which I couldn't help get some shots. 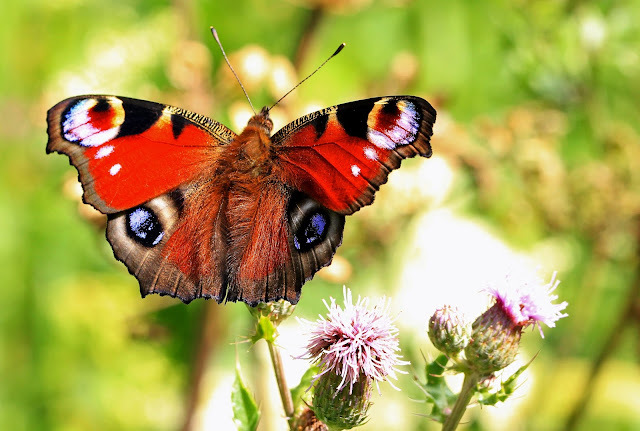 It is a shame that the common butterflies are often so overlooked as a good view shows just how stunning they can be. 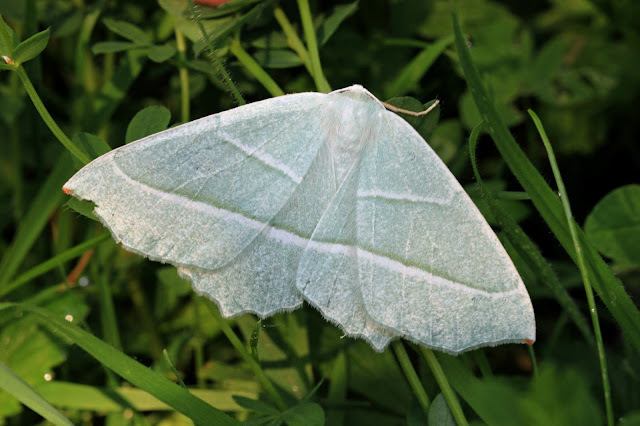 Our trip to Salcey was cut short as the news came through of a Great White Egret turning up at Clifford Hill Gravel Pits and as this was a lifer for Jon we headed straight over and luckily connected. The heat haze and constant disturbance from the normal idiot dog walkers (who seem to have little respect for nature despite the signs asking people to avoid the shoreline) meant that a photo wasn't possible. On the following day Jon and Kirsty and me went to have a look at the RSPB's reserve at Otmoor in Oxfordhire. Unfortunately the weather wasn't in our favour with the sun really struggling to shine through the thick clouds and the wind was becoming quite strong too. Luckily it was still warm and insects were out on force so we spent the morning scouring the hedgerows for any bugs we could find. As always the dragonflies were playing hard to get as they just wouldn't stay still long enough for a pic but everything else seemed to be quite approachable. 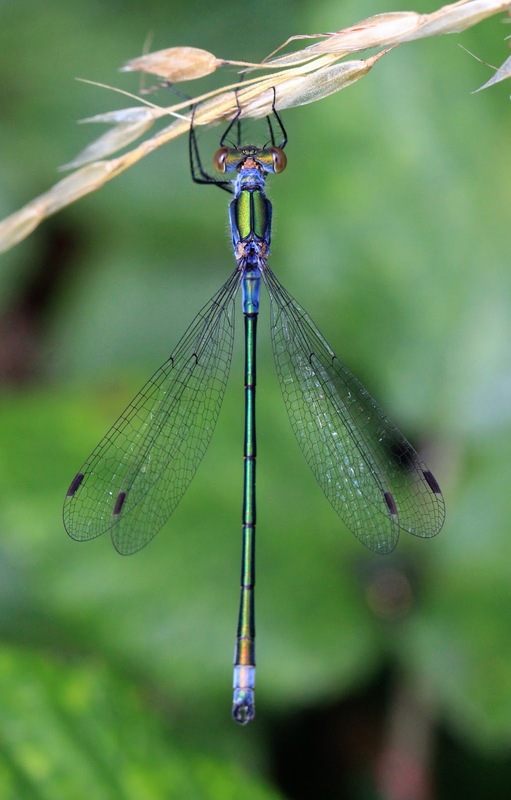 Common Blue Damselfies were everywhere and we were very pleased to find quite a lot of Emerald Damselflies too. Also the large amount of baby Toads meant that we had to be very careful where we trod. Some of them were absolutely tiny! We had a very enjoyable morning there and despite the lack of birds (with the exception of the Turtle Doves but more about them later) we had a great time trawling through the undergrowth looking for what we could find. 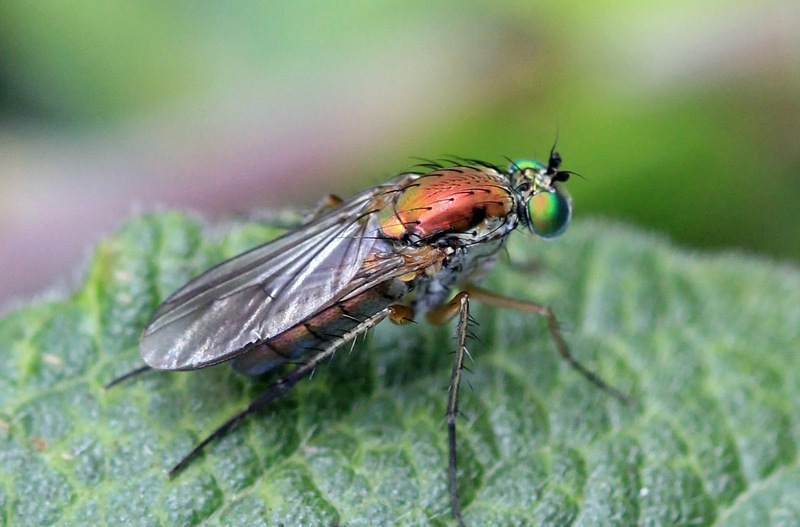 The sunny spells started to become a bit more frequent for a time and really brought out the colours on some of the flies I took pics of. 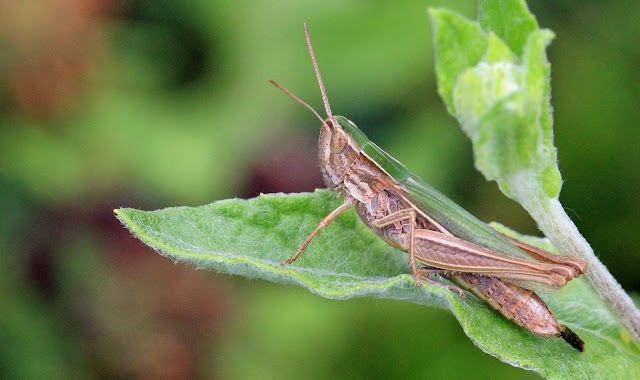 It is nice to see these creatures up close and perhaps gives one a new appreciation for these tiny little insects. 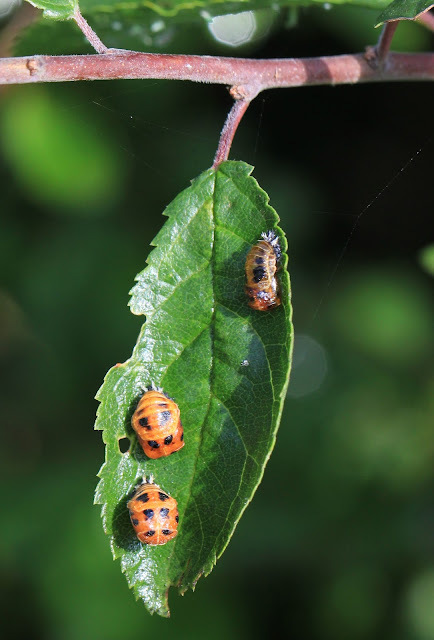 Ladybirds were also out in some numbers and it was good to be able see all the life stages. We had pupae creeping around on the stalks of plants, chrysalis on the leaves and adults on the flower heads. 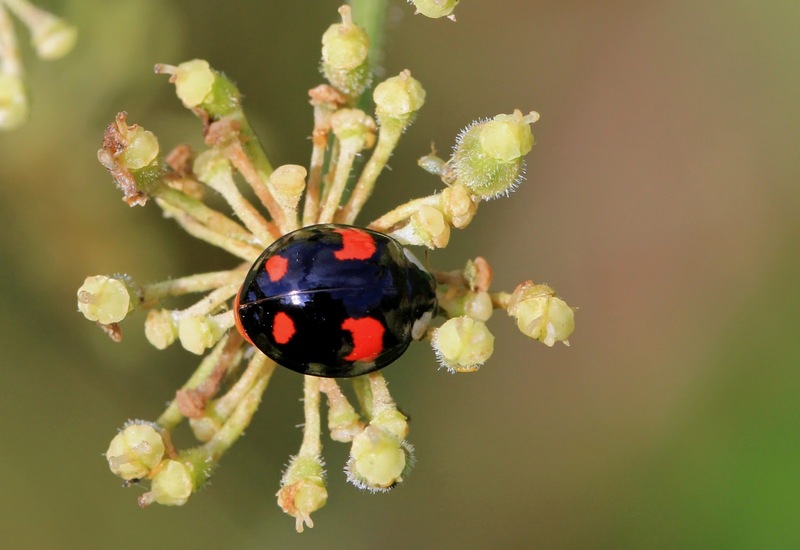 We also found this dapper looking Harlequin Ladybird too. As we walked slowly back to the car were awarded with nice views of Common Lizards on some of the log piles and a real treat in the shape of some Small Coppers zipping around some of the long grasses along the hedgrow. These are fantastic looking butterflies and despite them being very restless I couldn't help but start the chase to get a pic and luckily one finally gave up and let me get some photos. As we approached the car park we took a detour through the newly opened meadow path. Plenty of butterflies around in here with some darters thrown in the mix aswell. 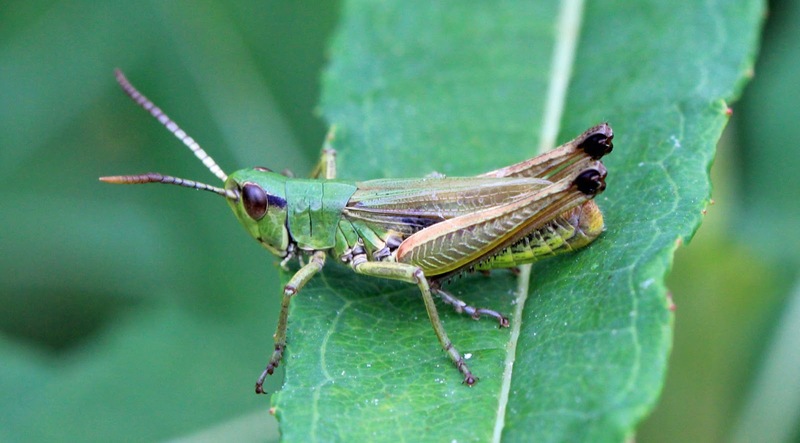 Kirsty managed to pick out what I am pretty sure is a Lesser Marsh Grasshopper too. The last thing to mention of course is the Turtle Doves. 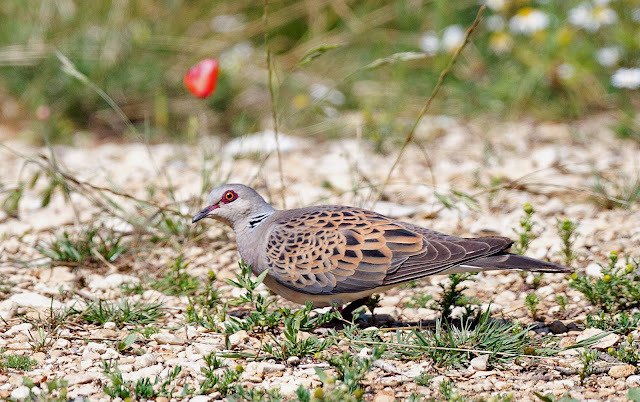 Due to a variety of reasons (habitat loss and persecution from our Mediterranean cousins) they are becoming a rare sight in the UK these days. 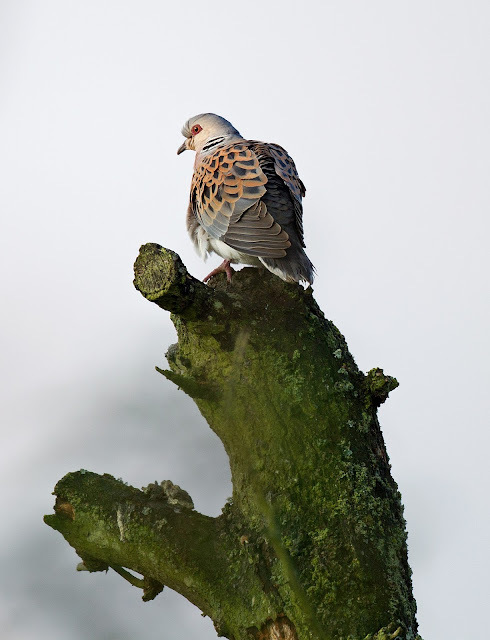 So quite rightly the pair of Turtle Doves on the reserve really were the star of the show today. Their soft purring could be heard long before you saw them, and when you did see them they showed very well indeed. My friend Jon very kindly allowed me to pop my memory card into his camera so I could have a go with his 500mm lens and I managed to get the below images with it. What stunning looking birds, and it is such a shame they have disappeared so much from our countryside - lets hope more is done to encourage their return. By now our stomachs got the better of us and we slowly returned to the car to head off to a country pub for a Sunday roast. Luckily though I manged to spot some Otter tracks in the mud on one of the bridges. I hold Otters pretty close to my heart after having some good views of local Northamptonshire Otters in the past and collating local Otter sightings to report to the Wildlife Trusts so whenever I am out I do like to look for the signs along the way. I just wish I'd had the foresight to put a coin in the pic for a sense of scale as these were pretty big. It was a nice end to a very nice day! I shall be keeping my eye out for Brown Hairstreak sightings from the area over the forthcoming weeks and when they are out I shall be returning to this fantastic reserve so hopefully see them. The long spells of bright sunshine that had been such a key factor in the brilliant couple of days "Emperoring" during the previous week unfortunately came to an end and by the weekend of the 20th/21st things had darkened up a lot. It was still hot but the prolonged sunny spells seemed a distant memory as thick cloud covered up most of the sky. Despite this though me, John Friendship Taylor and Sam Candy persevered and tried to make the best of a gloomy day butterflying. We started off at Twywell Hills and Dales to look for Marbled Whites and we didn't have to look for long before the first one could be seen whirling along the tops of the thistles. The wind had also picked up which was making getting one to pose for a photo a nightmare. I took John and Sam up into the Gulley section hoping the added cover up there would provide the butterflies with some protection, which of course means they'll be easier to photograph. We were awarded quite quickly with the sight of several Marbled Whites flying around in the gulleys and staying still long enough for John and Sam to get pics. I decided to let them have the pick of these as I have got some good shots in the past so I wandered on the try and find my first Brown Argus of the year. I unfortunately failed but as the weather was the way it was I didn't really have my hopes up too much. One butterfly that was out in force though were the Essex Skippers. These look almost identical to the Small Skipper with the exception of having black undersides to the tips of the antennae which can be surprisingly difficult to spot. 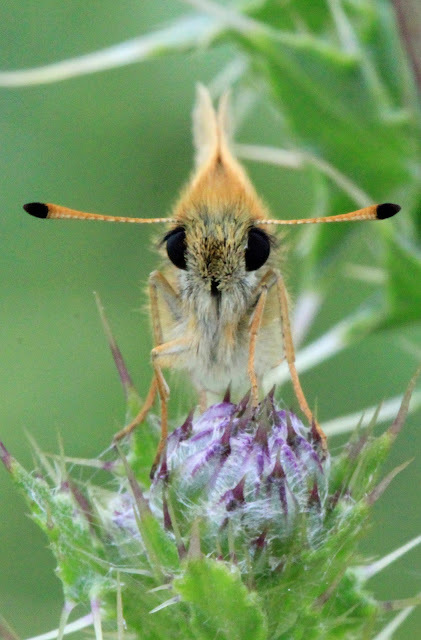 You have to get almost face on and look underneath which is harder than it sounds as Skippers can be quite jumpy at the best of times but with today's lack of sunshine they were luckily quite sluggish. This of course meant I could take a lot of pics of one without it being too bothered about the intrusion. I really like the photo below. It shows the key features of the identification with the black tips to the underside of the antenna, but also shows the butterfly from a perspective you don't normally get to see. After enjoying this little butterfly I went and explored around a little more while the others were getting their fill of the Marbled Whites but unfortunately the only nice find was a Meadow Grasshopper trying to keep out of the way of the wind. It kept very still while tucking itself up on a leaf deep in the centre of a bush. While I was busy taking the above picture Sam took the opportunity to try out his new camera on me. There aren't a lot of pics of me on this blog as I am always behind the camera so I thought I'd share it. This is the position I seem to find myself in on most of my days off while I am creeping around in the undergowth! After exhausting this site we left and headed up to Wakerley Woods in the north of the county. Lots of Two Barred Crossbill had hit the Norfolk coast the previous day and as this is a very good Crossbill site we though it would be worth a go. Sadly though we didn't hear or see a single Common Crossbill let along find it's rare counterpart. We did have a nice walk though with some very good butterflies along the way. As this is one of the most reliable sites in the county to see Crossbills an annual visit here always comes up with the goods when yearlisting, and the fact that the car park is the best place to see them means I have never ventured much further into the woods. today though we went much further into the wood, almost purposefully getting lost and then making our way back again down some less well marked rides. I had no idea what an amazing site it was, and of course because we were off the main paths we had the place to ourselves. 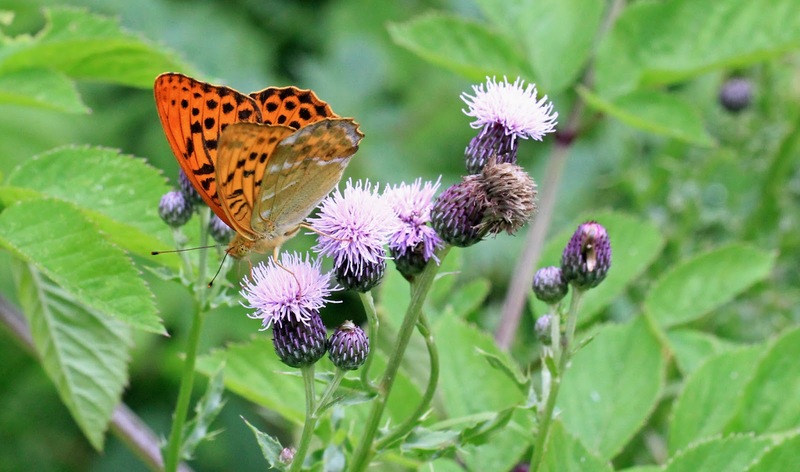 During our walk round we had at least 4 Silver Washed Fritillary grace us with their presence. These have to be my favourite local butterfly and I can watch their characteristic flight for hours, I just love the whirling wing beats and then a glide. I cannot think of anything better in the summer than the sight of one of these making it's way across a woodland glade through the dappled sunlight shining through the canopy above. I have always had trouble in the past getting the "Silver Washed" part of the underwing and today was no exception so I will have to make do with a glimpse of the underwing instead. Here are the pics of a particularly confiding Silver Washed we found not too far from the car park. We also had some good views of White Admirals too. These can also be a pain to get good photos of as the normal view is often of the "chequerboard" shooting through the forest without stopping but luckily while we explored a fairly overgrown path one did and I grabbed the opportunity to grab a pic. 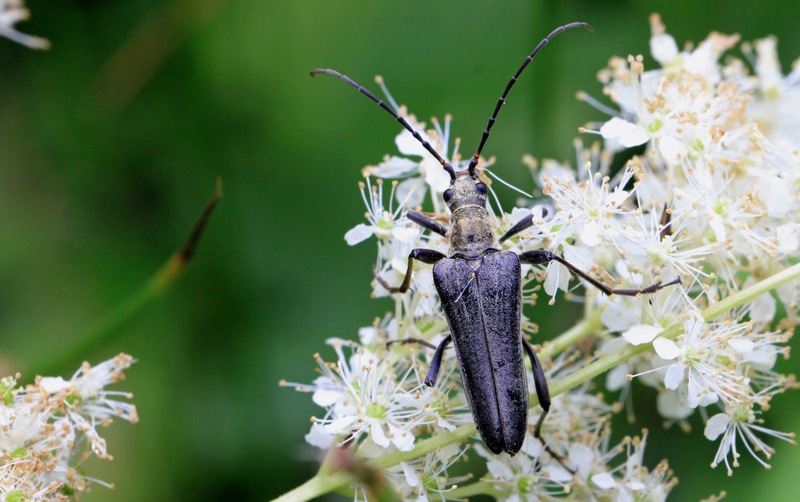 We also found one of the bigger Longhorn Beetles which caused quite a stir. This species are called Stenocorus Meridianus which are big anyway but this one was a monster! We returned to the car park and headed off to Fermyn Woods with the hope of finding a Purple Emperor for Sam who had never seen one. Unfortunately we were met with a lot of sullen faces as people who had been there all day hadn't seen one on the floor. The cloud still hadn't lifted even now and the Purple Emperors seemed far too occupied chasing each other around at the top of the canopy instead of coming down to the ground. We carried on though and were rewarded with good views of a couple of pristine Purple Hairstreaks and great views of lots of Emperors flying around the tops of the trees but despite walking through Fermyn and down into the bottom section of Lady Wood we still didn't get any grounded. 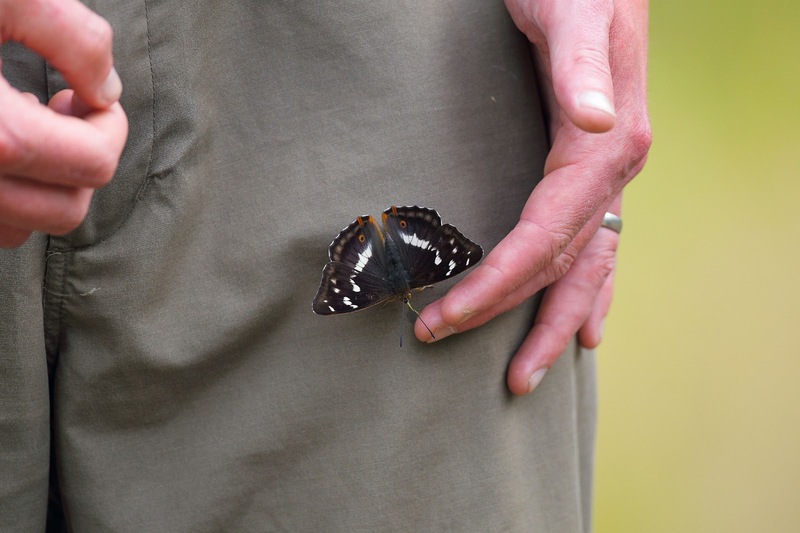 Never mind we still had a great day and there is still time for Sam to get the Purple Emperor pic he wants. The last butterfly pic I will share with you is a Small Tortoiseshell butterfly seen along the River Nene on Monday night. It's great to see such a common butterfly showing it's colours off so well. Like a lot of the common birds that can sometimes be a little disregarded (Starlings for example are stunning in the right light) I think Small Tortoiseshell and Peacock butterflies tend to get a little overlooked. To end the weekend chasing butterflies I did what I think is right. 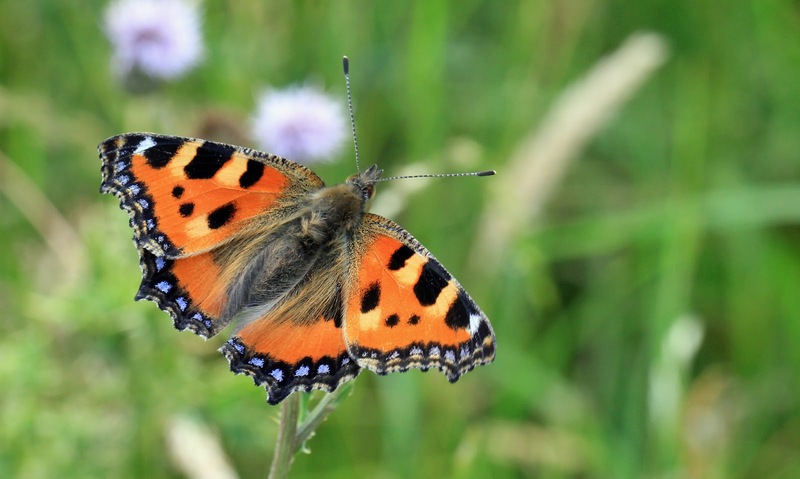 Everyone has heard of the RSPB and Wildlife Trusts, and quite rightly so as they do a lot of good work for wildlife, but for those that are butterfly enthusiasts there is Butterfly Conservation too. I don't normally promote stuff on here but as I am already a member of most of the big conservation groups I decided after enjoying the butterflies so much this year to contribute towards Butterfly Conservation too, and if you like butterflies I urge you to do the same. Lets hope the sun is shining next weekend! July is a magical time for us here in Northants. 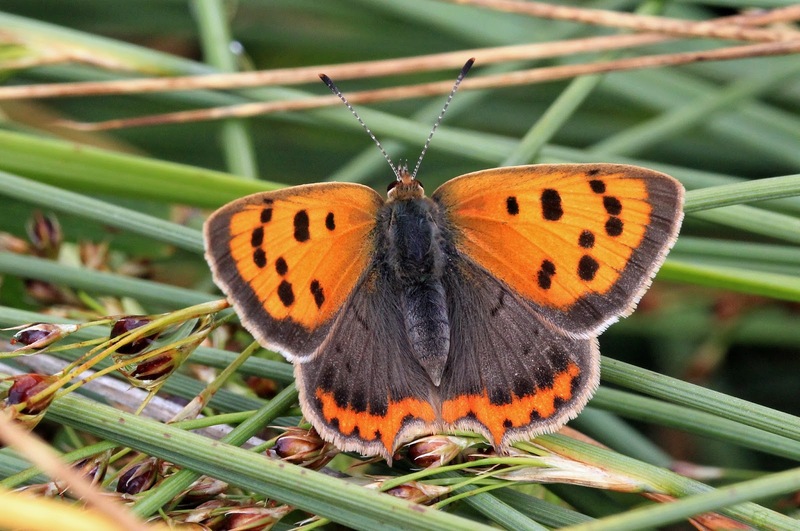 It is a time when naturalists from all over the country descend onto a few sites in remote Northamptonshire woodlands to see some very special butterflies. 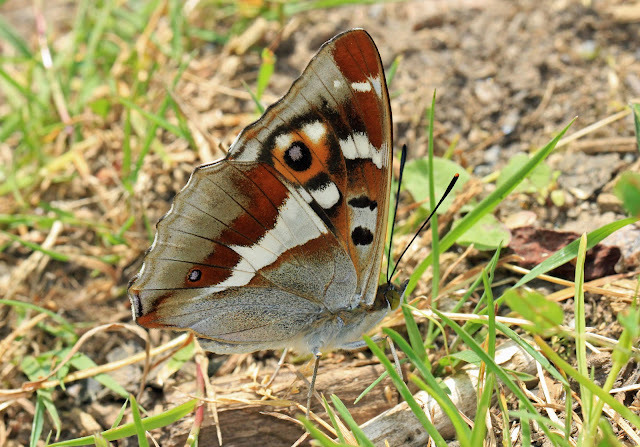 I have already mentioned our Black Hairstreaks in the previous post but most of the people who saw them come back very soon after to see the most amazing butterfly of them all - the Purple Emperor. These large butterflies have a mystique of their own and is the elusive prize for many amateur Lepidopterists. They spend most of their time up in the canopy of the large Oaks in ancient woodlands and occasionally come down to take salt off the ground. 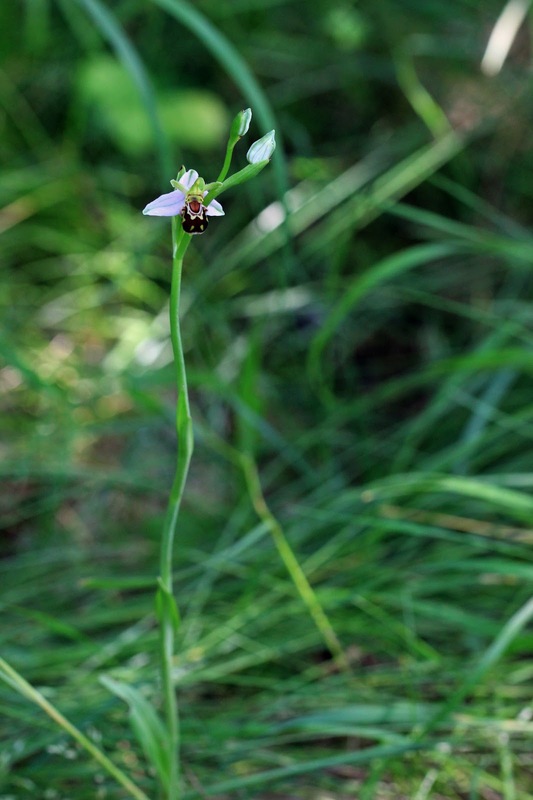 There are populations further south but our main site here in Northants is Fermyn, Lady and Souther Woods. During the previous week the first ones were reported and as always in these cases I was working. The weekends weather forecast was looking very favourable as England was experiencing it's mini "heat wave" and I waited patiently for Sunday (which was my first day off) to arrive. 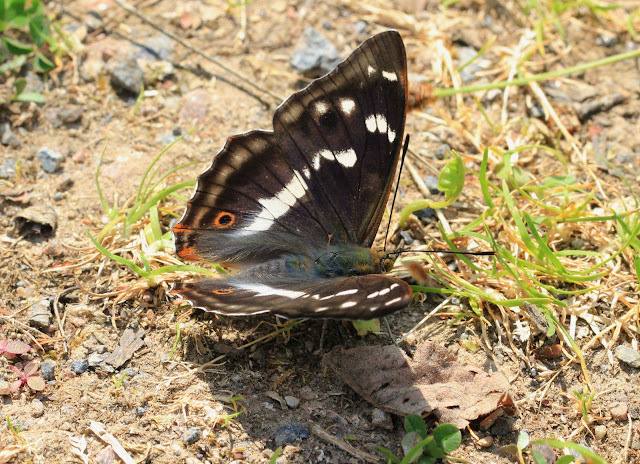 I cannot help but admit a thrill of excitement was running through me as despite living fairly close and seeing them every year the sight of your first Purple Emperor of the year is always a special one. Today had another bonus though in the shape of a little reunion of Twitter followers. Those who know me personally will know I am a great user of cyberspace and social media (if you want to follow me on Twitter find me at @dave_b_james ) so it was nice when an impromptu meeting developed on Twitter the previous night. So at 8am I met Ian Pretty and Stuart Mundy at the site to be joined slightly later by Jon and Kirsty. It was nice as some of us had never met before despite striking up friendships and talking regularly on Twitter. Unfortunately the weather wasn't working in our advantage though and the long spells of morning sunshine didn't materialize until midday. Ian had to go home due to other commitments and Stuart had seen them the previous day so Jon, Kirsty and I headed off into Lady Wood while the skies were still full of cloud. It wasn't long before patches of blue sky gave way to large chunks of blue sky and things started to hot up. 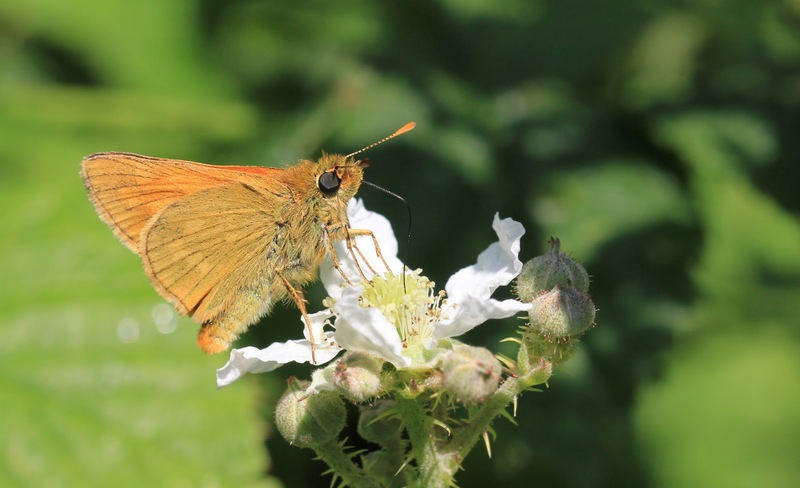 No sooner had the sun come out the butterflies sprung into life with Ringlets, Large and Small Skippers and Speckled Woods all seemingly coming out of nowhere and busying themselves in the hedgerows. A tantalising glimpse of what we assume to be White Letter Hairstreaks whirling around at the top of an Ash tree and a glimpse of a Purple Hairstreak shinning in the sun whetted our appetite for more and as we headed further into the wood (into the Souther Wood section) we met a chap who proudly showed us the images of Purple Emperors on the back of his camera. As we went around the corner a large butterfly was seen flying along the ride before coming to rest in the tree above us. 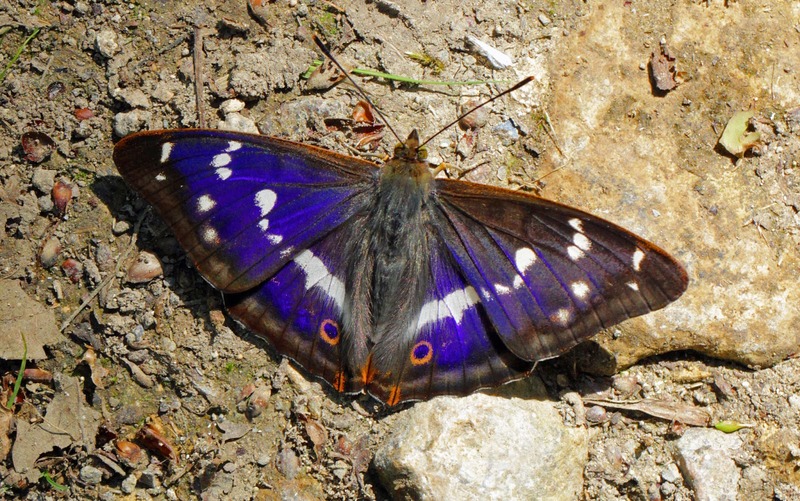 My first Purple Emperor of the year was calmly sunning itself above me! We continued along the ride and met a few very pleased people along the way and we continued to have Purple sightings as we walked. After the long mornings overcast start they were now coming to life and trickling down to the path to take the salt. We went from seeing none at all to being spoilt but as anyone who has attempted to take a shot will know, getting the "purple" all the way across the wings is a flipping nightmare and despite snapping away all day I never quite managed it. I got great shots though all the same with some cracking underneath pics. We also had good views of White Letter Hairstreak at the top of an Elm which was nice as I have never had prolonged views of one before, also a few White Admiral dotted around added a bit of variety too. This whole wood is a butterfly watchers paradise and everything is worth checking out in fact it takes a long time to get round when you do it properly. Purple Emperors were everywhere and they seemed to be flying along every ride we walked along with a couple even landing on Kirsty! The other thing that is worth mentioning is they do have a soft spot for dung. 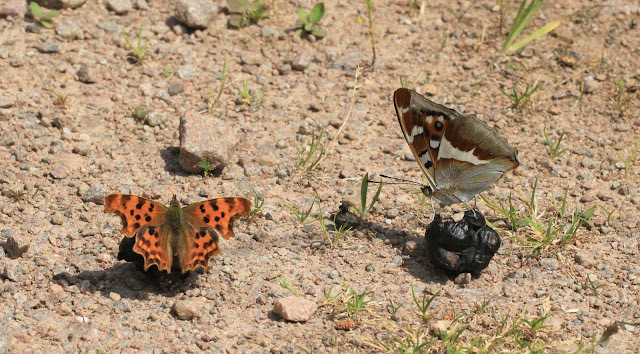 In fact many a good Emperor shot has been ruined by it's background but it was quite a nice surprise though when we walked around a corner to find 2 pieces of dung - one with an Emperor on and the other with a Comma. We continued our walk back into Fermyn and made our way to the visitor centre for a cold drink. Jon and Kirsty thankfully offered a lift back to my car which was a relief as the weather was getting very hot now. We decided to have one last look along another ride and we were very glad we did. We made our way to a clearing and stood there for quite a while admiring the sights around the edges of the vegetation. 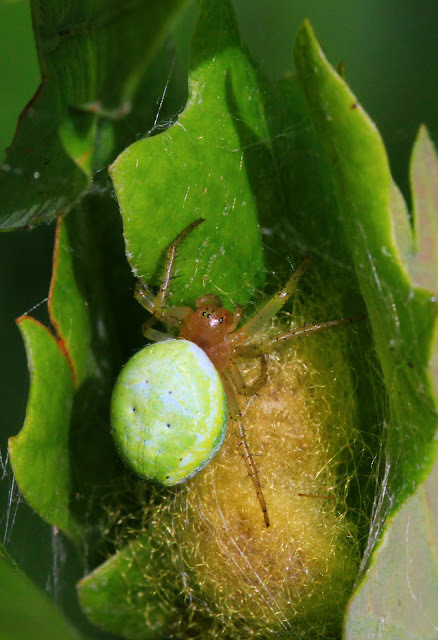 A couple of interesting spiders could be seen with a Labyrinth Spider in it's tube like web and a Green Orb Weaver protecting her eggs sack. 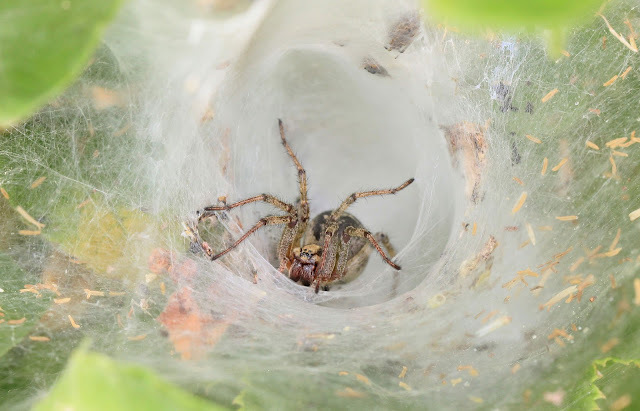 Labyrinth Spiders are so called as below the tube they spin an intricate series of webbed tunnels all leading off to form the Labyrinth ad in one of these will be her egg sack. While we chatted away and remarked at how well the day had gone despite the poor weather in the morning another Purple Emperor flew around the corner and landed on me. Jon was quick on the trigger as always and managed to grab a few pics. The following day the weather looked much better and I couldn't resist another go at getting the elusive "purple winged shot". I got the site early again and from the car window as I pulled up an Emperor could be seen flying along the ride infront of me. Wow, it was only 9 in the morning so this was looking good! I made a bee line for Lady Wood again and found myself along one of the most productive areas we had found the day before. I had come armed with Fish Oil this time and distributed it about around the vegetation and it wasn't long before Emperors were coming down all around me. I had five down at once at one point but again the sun was too strong and trying to get the blue pic I wanted was proving impossible. Despite this it was still a very nice moment, I was sat on my own with just a Chiffchaff singing away and the constant drone of the Bees in the hedge behind me, just me and 5 Purple Emperors! I turned the camera off and put it on the ground next to me and just enjoyed the view. The flashes of Purple as one took off and disturbed one of the others and the flutter of the wings as they fly around you before coming back down to the ground again are all things that cannot be represented in a photograph and is all the more reason to come out and experience it for ourselves. After enjoying this for an hour or so I reluctantly headed away from the area, constantly looking back to see if my companions were still there. It is hard not to get a little romantic about these butterflies, and it is just as hard to explain why you do become so enthralled by them. I continued my walk around the circuit of Souther Wood and back into Lady Wood with more and more Emperor sightings. Eventually I noticed that the more shady areas of the woodlands provided better views of the butterflies with their wings open and the more I walked in the more I could see posing nicely with their wings wide open. I guess the extra shade in this area must mean they have to bask a little longer to get up to temperature. I jumped on the opportunity though to get the pics I was so longing to get and here is the results. Not quite entirely blue on both the wings but it will do for me and I am happy with them. I then turned back on the path and headed back to Fermyn Wood and eventually reached the car. It had been an incredible day once again and the Emperors certainly put on quite a show. It was really nice to spend some time with them with no one else around. It is quite a rare feat to get some to yourself as these woods get very busy with people at this time of year, and quite rightly so as people should get out here and see them for themselves. 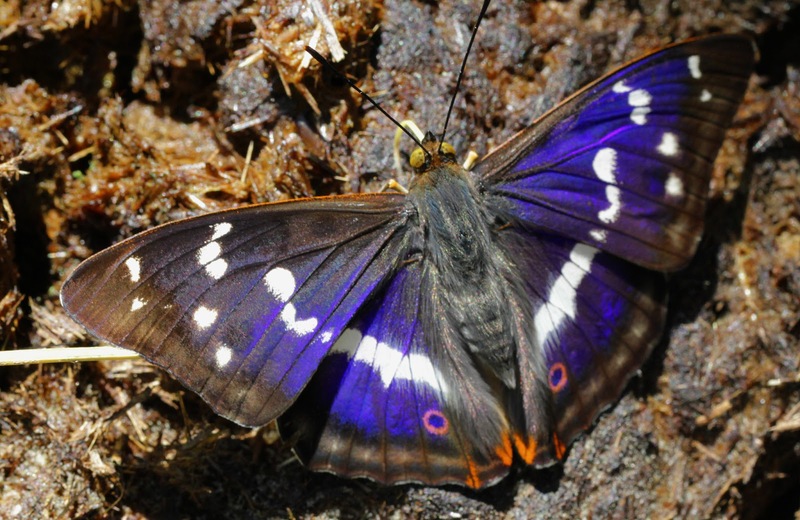 That moment when I sat on that secluded ride surrounded by Purple Emperor butterflies is one that I will not forget. The urge to get the "pic" is often one that can distort the real reason for coming here in the first place, which is of course to enjoy these incredible creatures. I would encourage anyone coming to see them to put the camera down once in a while and enjoy them for what they are. Although I do have to admit that while I laid the camera next to me as I took in the view of the many Emperors in my ride I couldn't resist the temptation to take just one picture as one decided to take the salt from my finger. I love these butterflies and I am already looking forward to returning here on my next weekend off. As I have already got the photo's I wanted I will let the others I am going with hopefully get theirs, which means of course I can just spend the day enjoying the moment. I can't wait! The last couple of weeks have been busy! 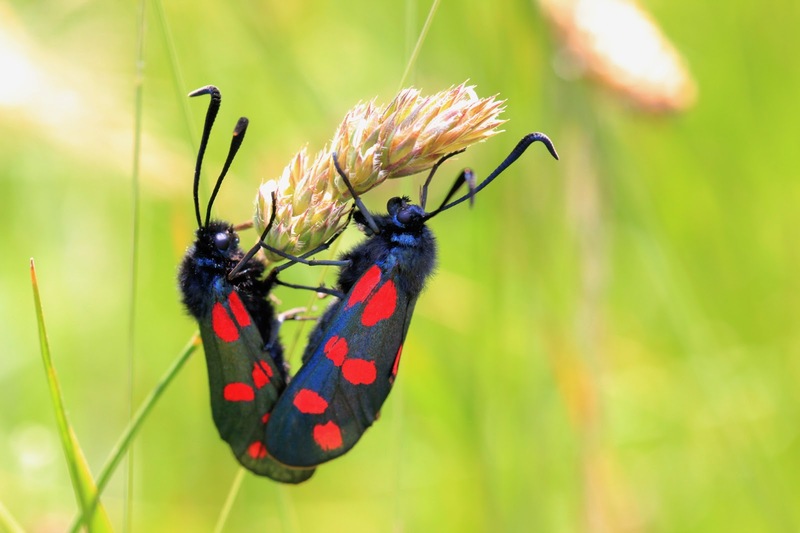 The long awaited summer finally arrived and along with it the butterflies started to emerge. Due to the cold start everything has been painfully slow to happen this year but perhaps this has led to a better appreciation as this time round the anticipation has built up over a longer time. Either way it was good to hear that the Black Hairstreaks had emerged at the Wildlife Trusts Glapthorn Cow Pastures Reserve near Oundle. I headed over as soon as I could and on the 3rd of July I found myself pulling up at the reserve. Despite there being multiple sightings in the previous week they were proving to be hard to get and the low clouds really weren't helping. I waited patiently along with the rest of the crowd by the "morning bush" along the third ride and a couple of fly throughs were the only glimpses of this rare butterfly we could get. One eventually sat right up at the top of a bush giving good binocular views but this wasn't really what I was here for. After a while I became impatient and started to explore in the hope I could find a more showy individual. 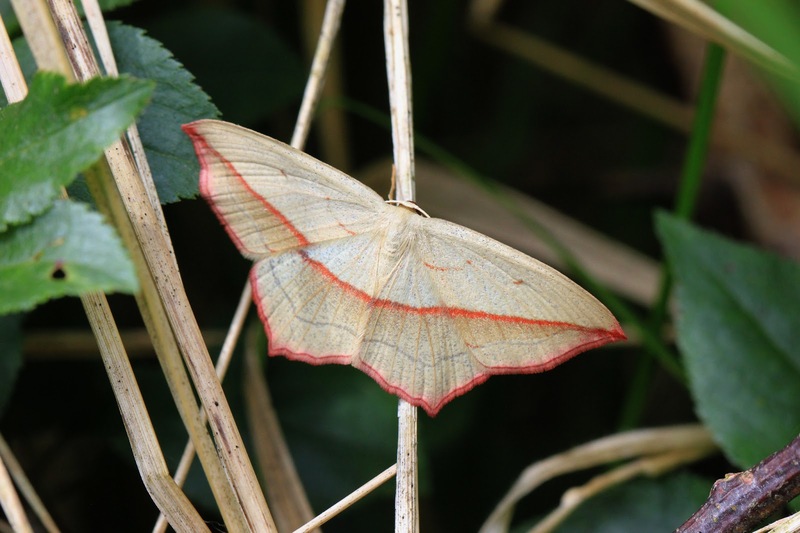 I ventured along to the next area slightly to the west of the third ride and was immediately greeted by the sight of a Blood Vein Moth obviously disturbed from it's roost and trying to settle down again. 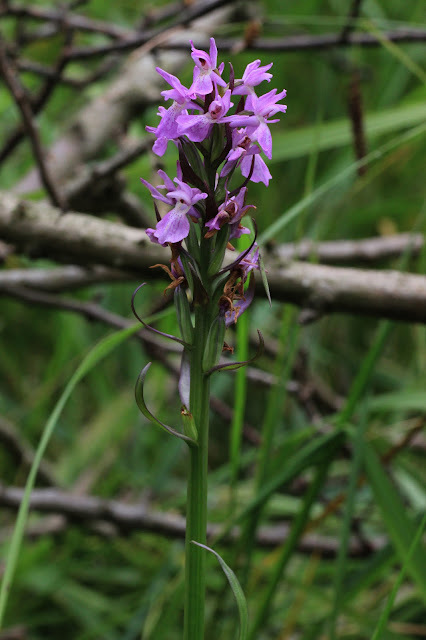 In the absence of Black Hairstreak I called some of the others and they came over to take pics, one of them after pointed me in the direction of a slightly gone over Southern Marsh Orchid too. While we were having fun with these we heard a shout from the third ride that one had come down. Luckily while us impatient ones had left the scene a few Black Hairstreak stalwarts had continued the vigil. Heading around the corner I saw a small huddle of people taking pics and as I got closer a prestine Hairstreak could be seen posing on the leaf infront of them. Now one thing I will say at this point is taking picture of butterflies is frustrating at the best of times, but rare ones even more so as not only do you have to contend with a living thing constantly turning around or flying off but also you may have to put up with the fight to get close enough to get the picture as other photographers don't let anyone else get a look in. I have seen this so often I almost take a deep breathe and compose myself that this is going to happen before I enter a wood on just such an errand. Today though was a very different story I am very pleased to say. When people checked their pictures they did it at the back allowing others a turn before adjusting settings and rejoining the queue to have another go. It turned into a great atmosphere with everyone getting the pics they wanted and having a good relaxed chat at the same time. Obviously the butterfly helped by hanging around for so long but it is a shame this kind of thing is a rare occasion these days. I had to dash unfortunately but I left with the pics I wanted, it's been a few years since I saw one as good looking as this one. I then had a weeks work to do before my next few days off but as always with wildlife watching you can do it anywhere, including out my van window. 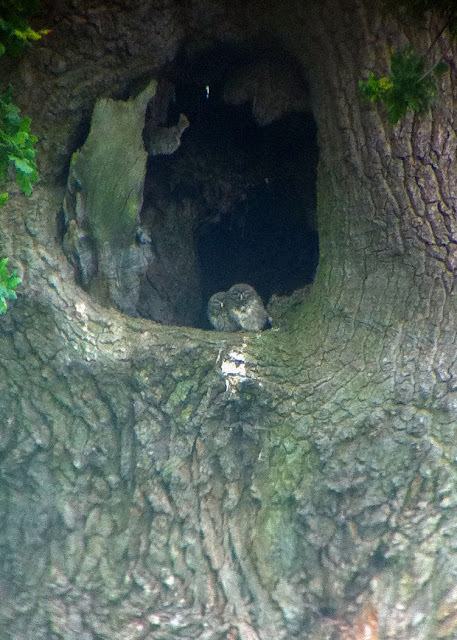 I have been keeping an eye on a tree on my route that has had Little Owls in it for years. I see them almost all the time when I am out and I am pleased to say they have successfully bred this year! How do I know? Because today when I went passed two baby Little Owls were looking back at me. Excuse the quality of the pic but it's digibinned through my van window, as I got out of the van to take a better one they disappeared back into their hole. The following weekend was spent chasing butterflies again and on Saturday the 6th I was back in the Glapthorn area with my mate Sam. 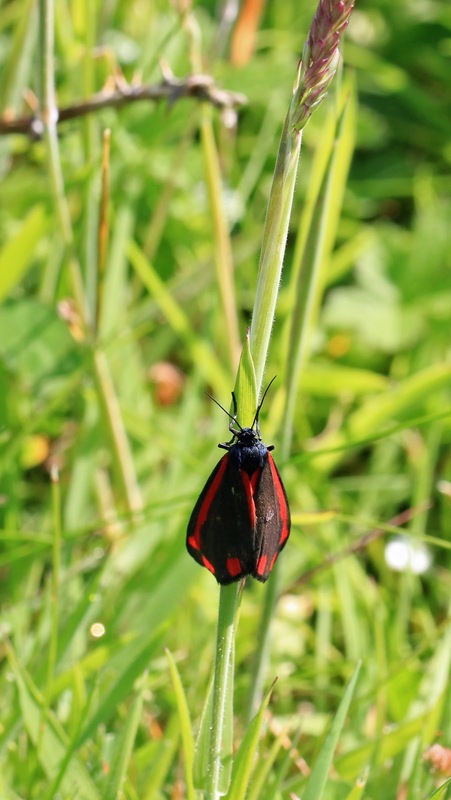 We managed to see a Cinnabar and Small Emerald Moth along with my first of the year Marbled White, 6 Spot Burnets, and Small and Large Skippers at Polebrook. We also saw a very tatty looking Black Hairstreak at Glapthorn itself. 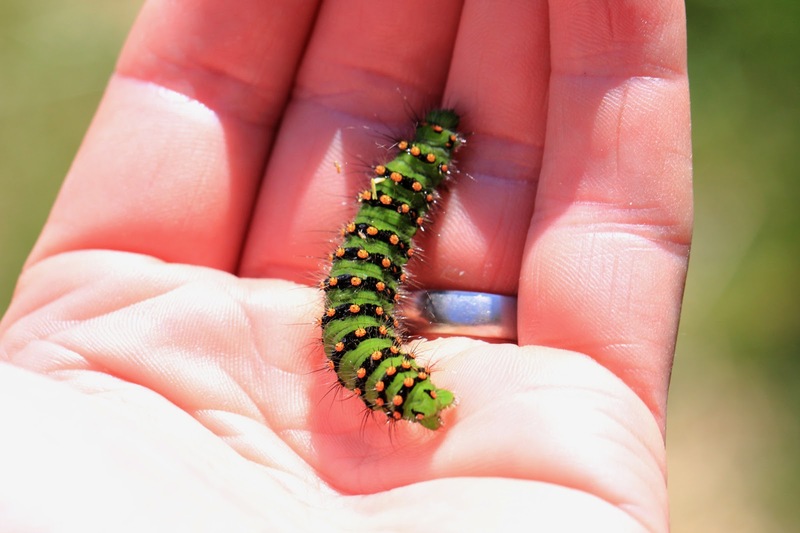 Also at the entrance to Fermyn Woods were greeted by an Emperor Moth Caterpillar. Then the following Sunday was spent with Jon and Kirsty exploring another Wildlife Trust Reserve called Twywell Hills and Dales. This site actually brought back quite a few happy memories as I walked round. This used to be one of my local patches and the butterflies around here are one of the reasons I started an interest in them in the first place. The Marbled White population here is very impressive and a walk around the site had well over double figure sightings. Unfortunately though the weather was a bit too good and the sun gave them so much energy they wouldn't hang around for pics. Plenty of Large Skippers, Dingy Skippers and Burnet Moths made up for that though, aswell as the four Red Kites in the adjacent field all eyeing up the same dead Rabbit! 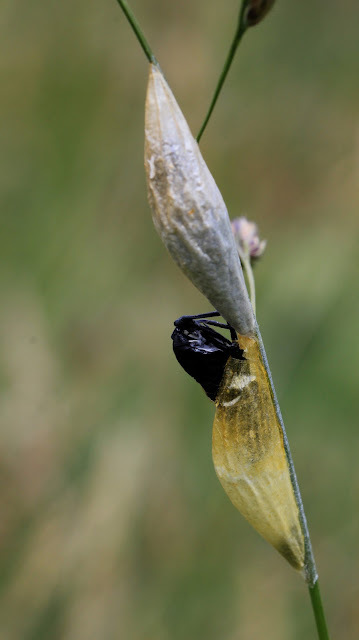 The Burnets were particularly interesting as they could be seen emerging from their paper like cacoons on the tall grasses. They were literally everywhere at the north end of the meadow. A few Common Blue and Speckled Wood were also present and lots of Ringlets could be seen along the hedgerows and also numerous Common Spotted Orchids dotted around the whole reserve. 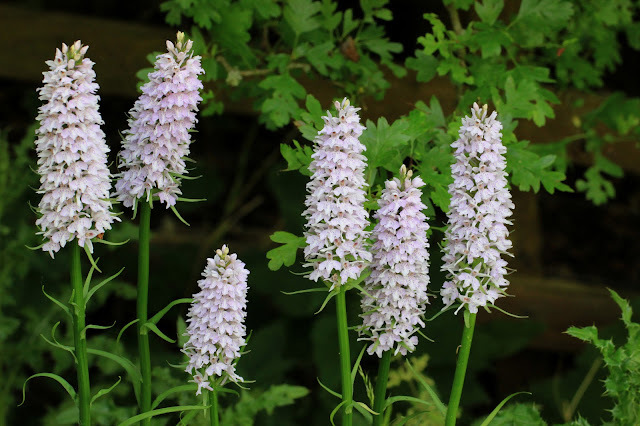 Due to heat we had a cold beer in a nearby pub and then moved onto a place fairly close to here that I know is good for Orchids. Forgive me for not disclosing the area but it is easy to disturb and the person who told me about it doesn't want me telling too many people. 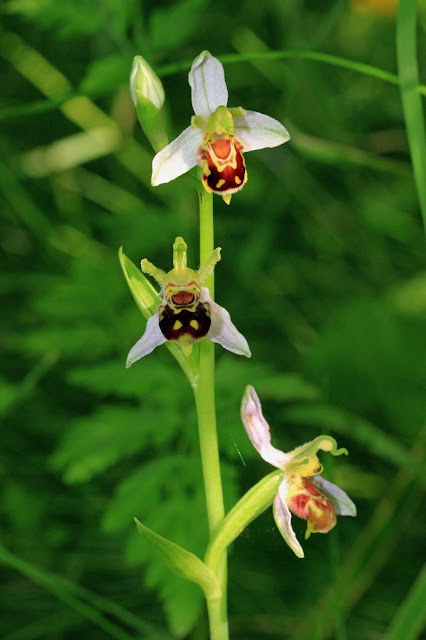 We arrived to find the area awash with Pyramidal Orchids and after a while of searching we found the prize we were looking for with the beautiful Bee Orchid looking amazing in the dappled woodland sun. The Monday after was the dreaded MOT day for the car. I consoled myself though by having a walk along the nearby river Nene with the camera while it was being done. 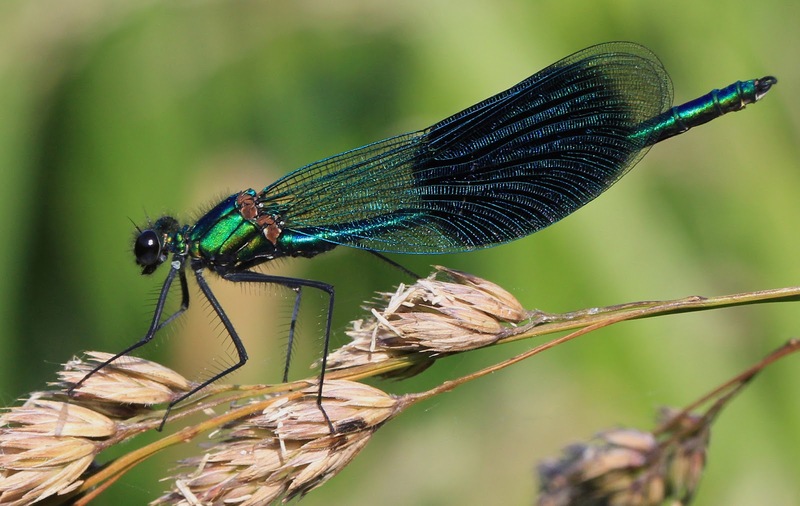 It was a stunning still summers evening with what seemed like a huge Banded Demoiselle emergence. They seemed to be everywhere and on almost every reed but trying to get close to them was proving a little testing. 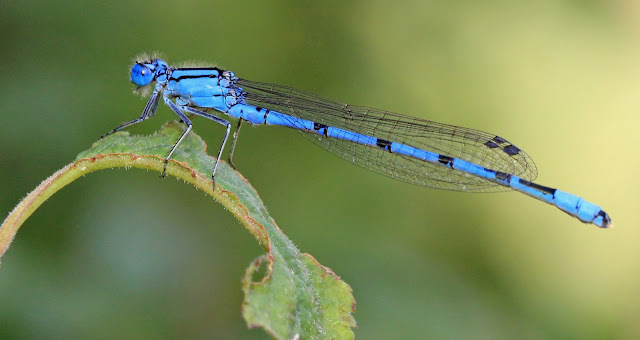 As with all these types of insect their eyesight is incredible and they rarely allow you to get too close but after a little perseverance I managed a couple of decent shots. 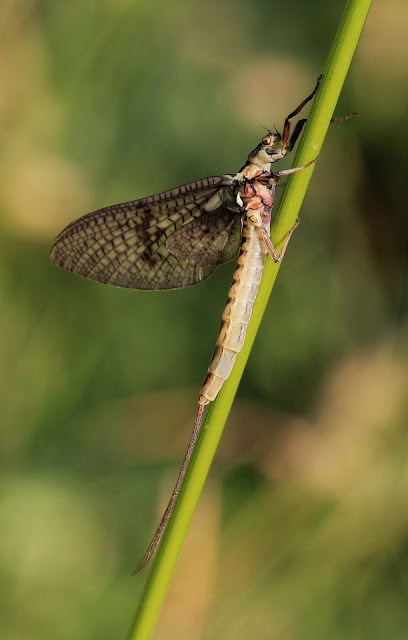 The other insect is real prevalence were Mayflies. 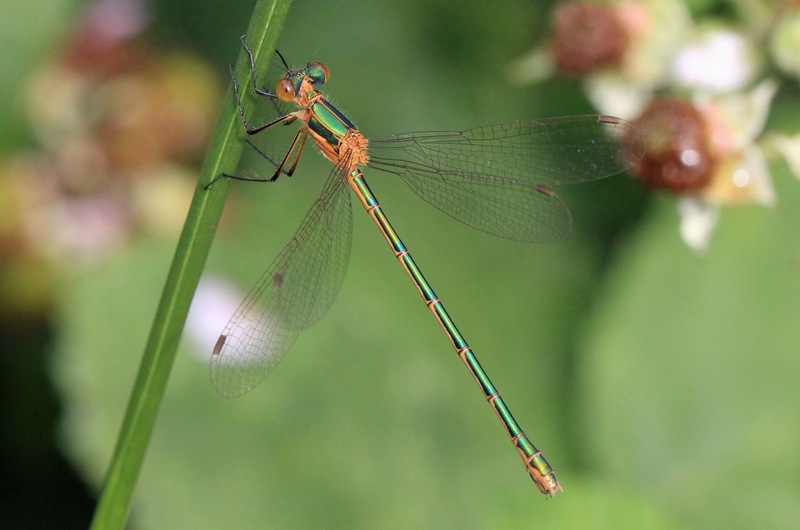 These insects have an amazing story as they are only on the wing in their adult form for a day. 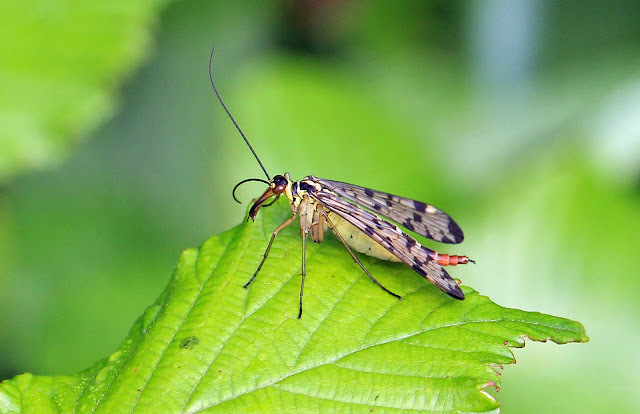 They are unusual in having two stages of winged form. The first stage I photographed in a previous post but will include here for comparison. You can see how dark it is and the strange posture it is posing in under the leaf. This is the stage the insect is in when it first emerges from it's larval form from under the water after which they fly up and hide under a leaf while they go through their second moult. Then they emerge into their fully adult stage which is photographed below. 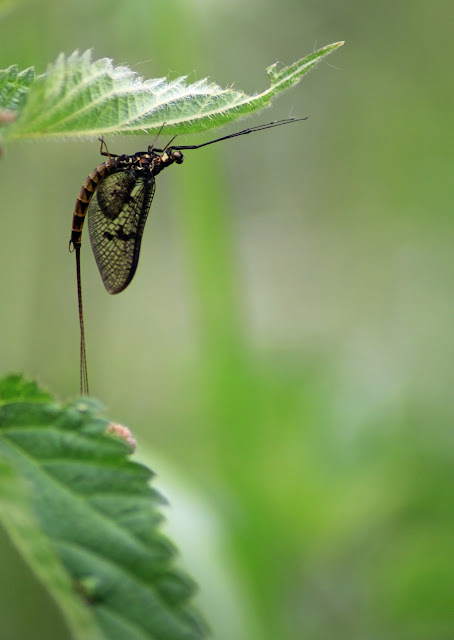 I absolutely love this pic, perhaps not the best exposure wise but I really like the fact that it's looking at me showing a little interaction between me and this fascinating little insect as I took it's picture. 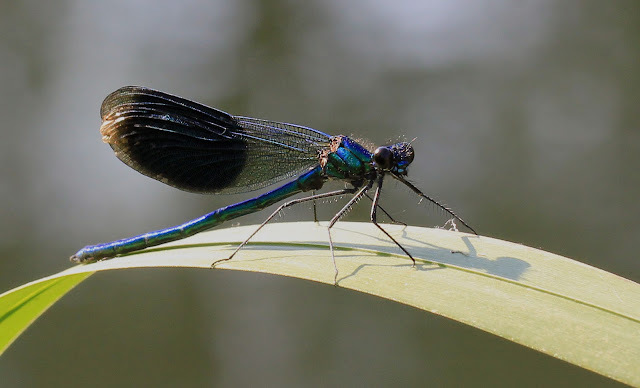 The fossil record of these insects goes back 300 million years which of course means the ancestors of the ones you see today skimming the top of a local river actually flew around Dinosaurs. In fact they are the oldest type of winged insect known. I shall leave this post here. 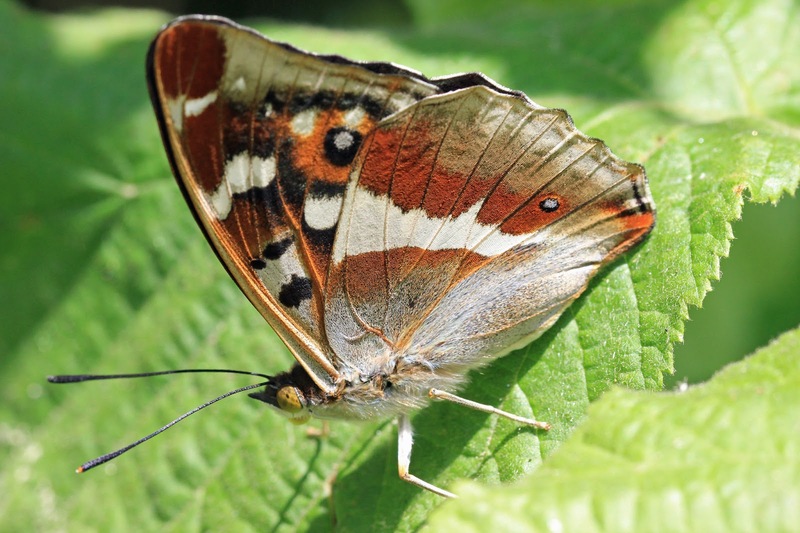 I have a small thrill of excitement running though me though as this weekend is looking good for the Purple Emperor butterfly emergence at Fermyn Woods. 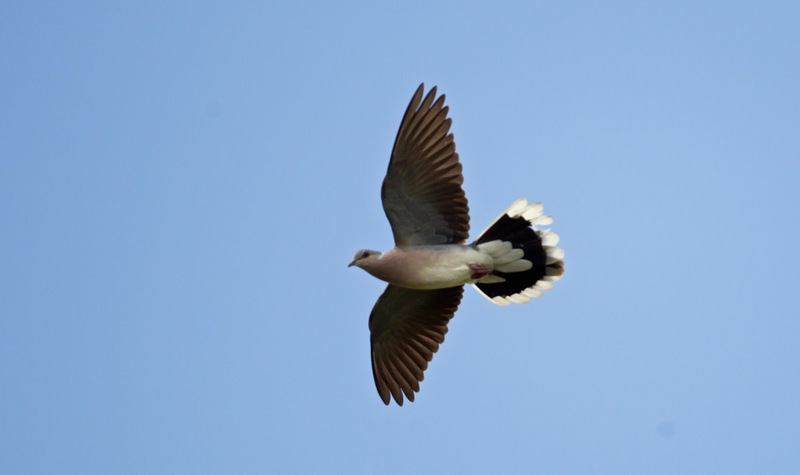 They are on the wing in other parts of the country and the weather over the next few days looks very favorable indeed. I intend to spend at least a couple of days there to get some pics so fingers crossed the next post you read on this humble diary will feature photos of "His Imperial Majesty" in all his splendor.